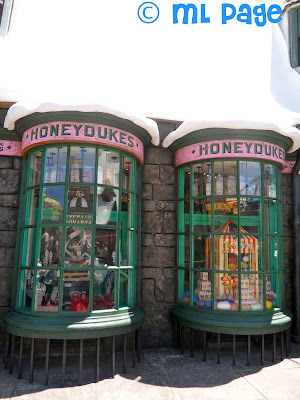 One of the most well-put together shops, or maybe just my favorite because I have such a sweet tooth, was Honeydukes! 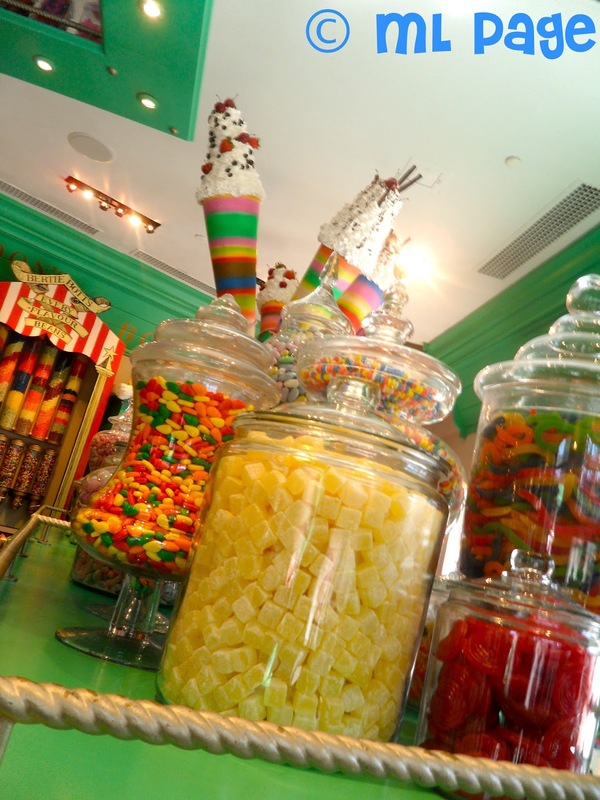 The legendary wizard candy shoppe is right at home in Universal Orlando's very own Hogsmeade! I left with an arm filled with Wizard candy and hung around outside for a while when I was drinking my Butterbeer. -& classic treats like fudge and other chocolates! My favorite were the Sherbet Lemons which came in a cute Honeydukes jar as well as the "sugar quills" lollipops! The candy here was a super cute souvenir from my trip and such an original gift to bring back to people. If you can't make a stop to The Wizarding World of Harry Potter (and Honeydukes) part of your next Orlando vacation, try and stop at the Universal Studiost store at the Orlando International Airport and check out the small selection of Wizarding World products they carry there! I picked up a Chocolate Frog last Fall and the Wizarding World souvenirs may be the best that Universal has to offer!